I have had quite a few requests for a typical day over here. That would be pretty impossible because all of our days are truly so different BUT if I could give an example day- here goes!! Oh, and I am not a "schedule" person....but lately our night time routine got really out of hand so we have been attempting to implement a bit of a night routine and are finding some freedom in that! 6:30am Ainsleigh wakes up. I get up, change her diaper and grab her a bottle (We let both our kiddos drink milk only from bottles still). I let out our 2 dogs and usually check my emails. I try and look at which ones can wait and which ones need to be responded to right then. For example if someone wants to pay me to do something- blog design, a commission, book an artsy party etc I try and respond right away so that I can start working on whatever it is later in the day. Then I take Ains in her room to get her dressed. She usually wants to play or empty out all of the bins in her closet, so we do that in the midst of getting her pjs off. Then Chris takes her so I can grab a quick shower and get dressed. Some days (actually a lot of days) the shower doesn't happen and I am fine with that. Pull the comforter back, throw a load in the laundry basket, straighten up the masses of toys everywhere... then more mama and ains time. Around 9:00 Aiden gets up. I grab him a bottle and get him ready for the day. Around 9:45 we pack up the diaper bag, load up the car and head to A Little Artsy. (sometimes we need to pick up checks, drop off paper towels, restock something, fix something, etc etc). My babies love Deb (and me too OF COURSE) so I almost always let the babies paint something or get out the playdo to do before we leave. After the studio we will run errands, for example the grocery store. I put Aiden in a backpack on my back and Ains in the cart... Other mornings we will go to the park or a playdate instead of errands. Then we head home for lunch. Usually Ains falls asleep in the car (aiden used to also) so when we get home I move her inside to her crib and then start making Aiden's lunch. Usually his dinos are eating as well- sometimes if we dont want to wake up Ains we'll all eat out on the porch. Because Chris works from home- we get to have mama, daddy and Aiden one on one time....which he LOVES. Then Chris usually takes a break and takes Aiden outside to do something- play in the yard, swing, etc and I will run upstairs, prep a few canvases, put in any orders for cards/iphone cases and check my email. If Chris is out on a shoot or can't/ or if i don't feel like doing that then Aiden and I do more playing, reading books, building forts, puzzles, paint! *Aiden loves helping so even if I need to unload the dishes or cut up strawberries, I do it in a way where is involved/helping even if it takes twice as long. Then I go outside- join Aiden and Chris...by then Ains is usually waking up. I will grab her lunch or a bottle and then all 4 of us will do something. Create something inside/outside, play, be together. Around 5:00 or 6:00 we eat dinner. Then 7:00 baths for both babies. Tonight Aiden wanted to stay in the tub and play with his dinos for 45 minutes and that was fine. Then everybody in pjs. The last week since we have been dropping Aiden's nap he has been ready for bed at 8 (before when we was taking 3 hr naps it was midnight). Go in his room and lay with him until he falls asleep. (read books, talk, snuggle, say prayers, tell stories). Get Ains from Chris- go lay in her crib with her until she falls asleep. Then around 9:30 or so I respond to emails, write blog posts, edit pictures, paint, order supplies for a little artsy, place more orders, etc. If Chris is done editing or doesnt have a project I will normally just not do anything and go make popcorn and watch a movie with him. The nights he is working late I try and write 3 or 4 blog posts at once, or get ahead on commissions. *Something that has helped me a lot is getting ahead when pockets of time present themselves. Sometimes I have a whole week's blog posts written the week before! Then around midnight or 1:00am I go to bed. (Ains sleeps all night for the most part but Aiden normally gets up a few times)...then we start all over again! 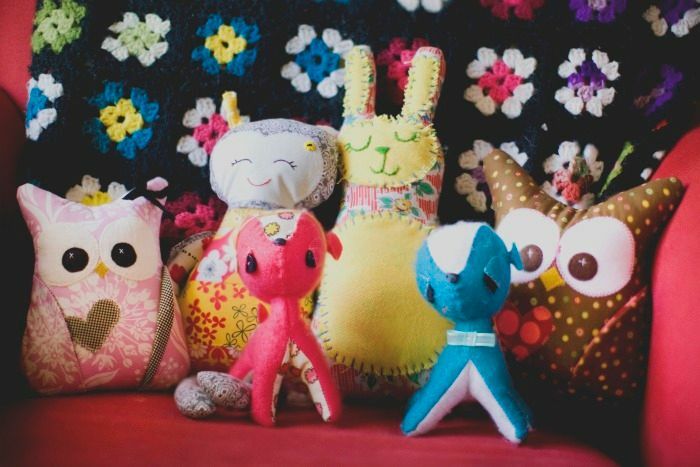 all of these made with an incredible amount of love!!!! wow those ornaments and stockings are SO adorable! And all your Christmas items look like something straight out of a Christmas movie. You're such an amazing mommy. I love your "schedule!" This is so sweet to get a glimpse into your alls day. I think it is so awesome that you get to be together so much! I've been trying to work on managing my time better for my husband because I know blogging takes away from me and him time. I've written blog posts in advance before but never really thought about making sure that I get it done while he has something he's got to do. That would give us so much more time together. such sweet days! your kiddos know they are loved and will grow up strong and secure because of it! :)) beautiful stockings! I love all of your built in time for the kids - that's what it's all about! love all the family time you have! what a blessing :) you're a great mom!!! love getting a glimpse into your home and a day in the life with you guys. i love you all!!! LOVE this! Our 3 year old still wakes up a few times a night too...how are you dealing with that? For me it's VERY frustrating as he is our only child that still doesn't sleep through the night. He's up about 3 or 4 times. thanks for satiating this gal's request for a day in the life. it sounds like a wonderful, exhausting life!! hehe. I am admire you for doing things the way that is right for you! Such as letting them drink out of bottles, letting Aiden stay up til midnight (instead of fighting him to sleep like most would do), and letting him play in the tub for 45 minutes. Its a struggle for me simply because I feel like everyone tells me what and how to do things...thats super hard and frustrating a lot of the time! Thanks for sharing how your days go and letting us see into your life! Wish you were still CA so we could do a play date! Have a great Thursday chica! I love that you are a no schedule keeper! I got so much slack for this! Our only regular schedule is bed time and it makes for a happier family (especially momma). Your babies are such beauties! 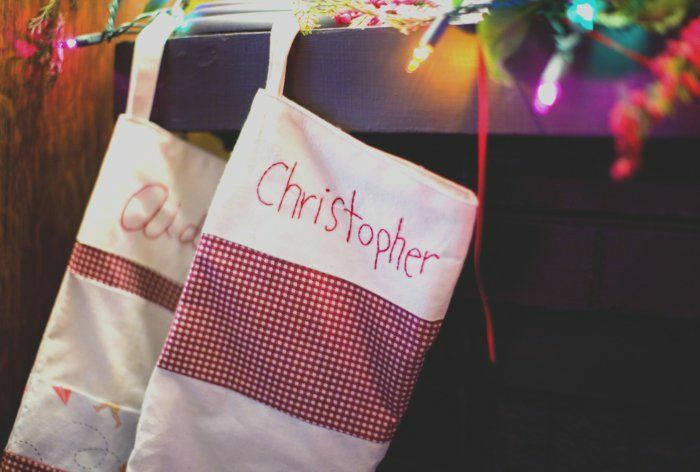 1. your stockings are adorable. 2. being a nanny for two years, routine definitely helps when it comes to the night times. 3. your family is precious! Wow! you are super mom!! =) I wish I could be more organized! lol I love those little owls! So cute!! Baby Addison. And fill it full of love notes, or flowers, or anything your heart desires. Thanks for a glimpse into your life! I absolutely love the priority you place on quality time with your family and your husband. It is definitely something worth fighting for! It's nice to get a glimpse into another mommas day. I love to hear how others do it all. Sounds like you guys are busy, but really laid back! You amaze me with all that you do! You are such a wonderful wife and mother! Such a blessing to be able to be with your family all day! 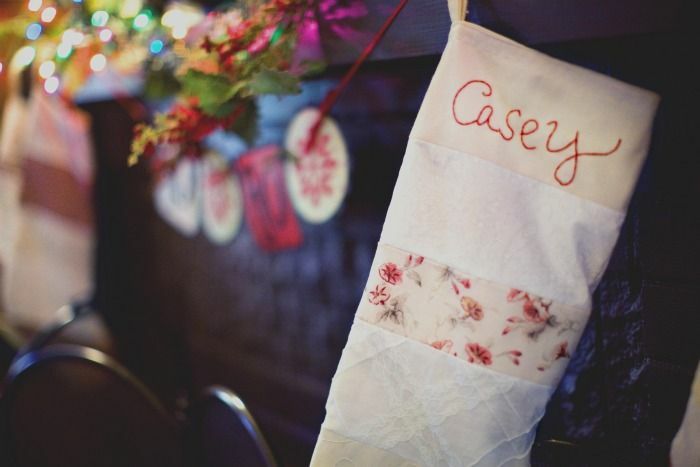 casey, i loved getting a glimpse into your life and seeing how another mama does it! thanks. FULL day but full of good things. Good to hear from a mom of two; thanks for sharing. Love your decorations! 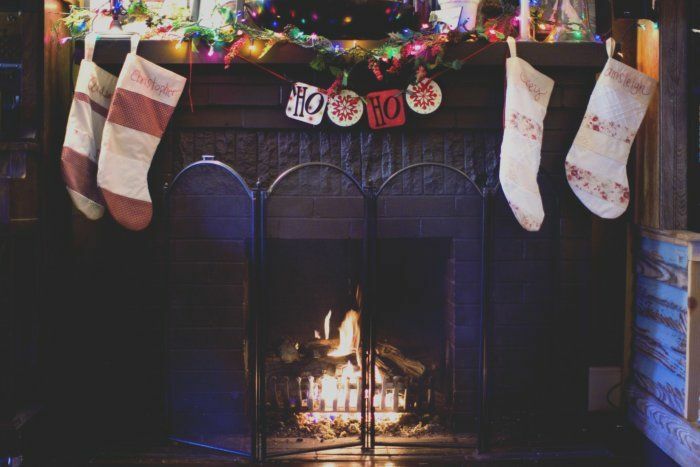 okay this is a funny question but do you know where you got your fireplace screen? I want one for Christmas and can not find one I love, but I love that one! Thanks! I love how moms decide to do things so differently. It is like God knows what child will need what parent in order to thrive and bloom. The best part about it, is that you seem confidant in what you decide to do with your kiddos, and that is what they will see. Girl, you have such a long day! I don't know how you do it! :) You are a good momma! Aww! All those owls!! So cozy! It is so awesome that you can both be home with your babies. I love the all the Christmas decorations. 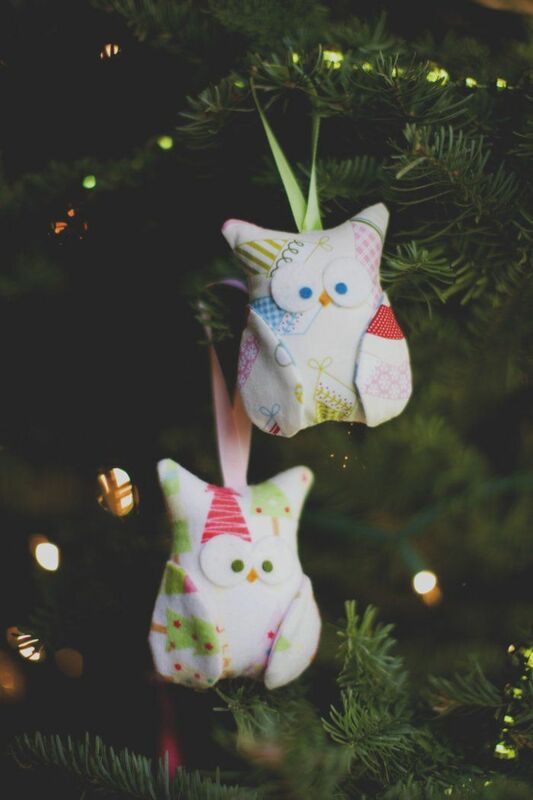 The owl ornaments and stockings are so cute. I love how unique they are. Thanks for sharing your typical day. Its always fun to hear what other moms are doing out there with their kids.